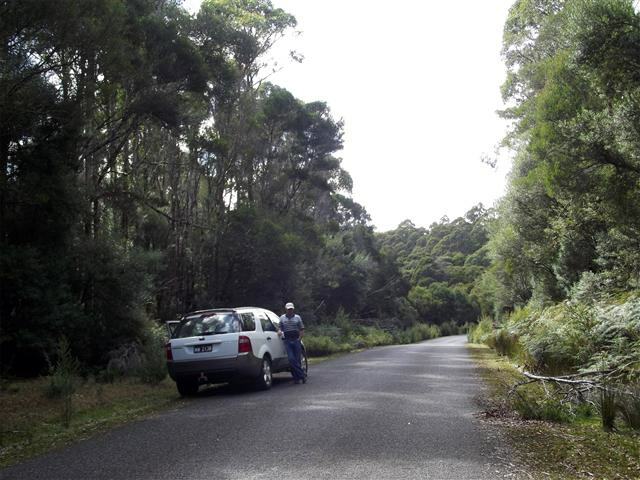 kilometres (1738 square miles) and is Australia’s largest remaining single tract of Gondwanan rainforest. Some 500 million years ago Gondwanaland was the southernmost of two super-continents. It included most of the land masses in the southern hemisphere, including Australia. 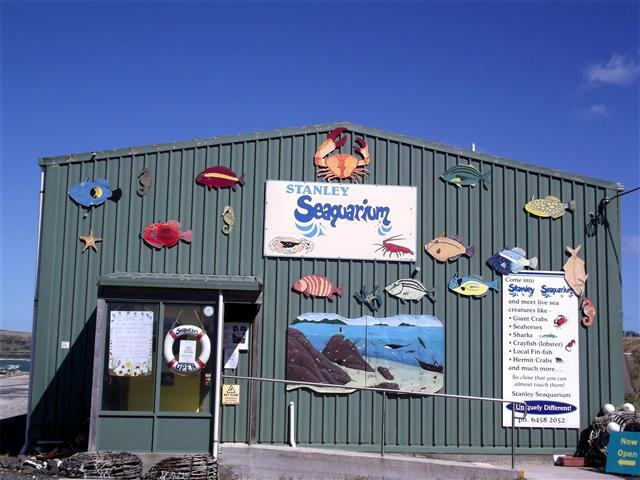 We arrived in Stanley on a horrendously windy autumn morning and checked into our cabin at the Stanley Cabin and Tourist Park ([star][star][star][star_half]). We got settled into our cabin and then set off to explore. Established in 1826, the town was named after Lord Stanley who would later serve as Britain’s Prime Minister and this was the birthplace of Joseph Lyons, Australia’s tenth Prime Minister. 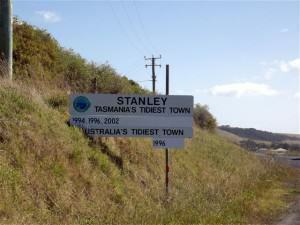 Today Stanley is a tourist destination and the main fishing port on Tasmania’s north-west coast. 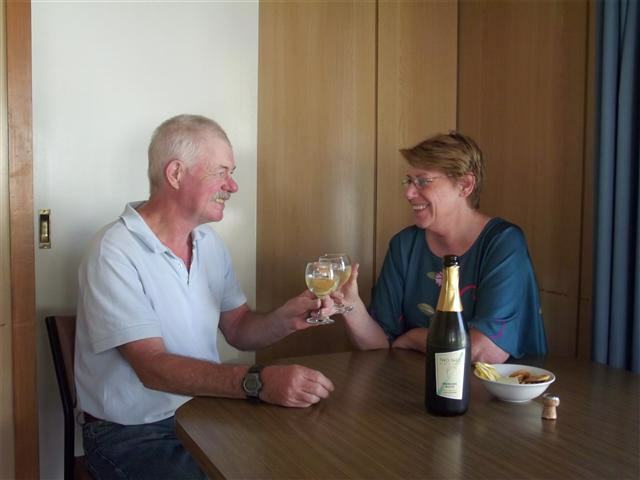 Our first stop, of course, was the marina and the wharf for John to see what the fishing was like and for me to have a look at Stanley’s famous Seaquarium before heading off to Smithton about 20 kilometres (12 miles) away for some supplies. Smithton is the nearest commercial centre to Stanley and, in fact, is the largest and oldest established town on Tasmania’s far north-west coast. On our return from Smithton we drove up to the Highfield Historic Site. 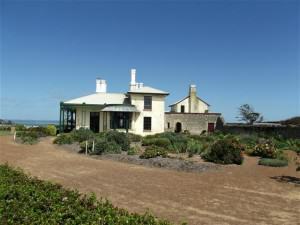 Highfield House is often regarded as the birthplace of European settlement inTasmania’s north-west and is one of the most significant farm settlements in Australia; a unique part of Tasmania’s pioneering heritage built between 1832 and 1835. 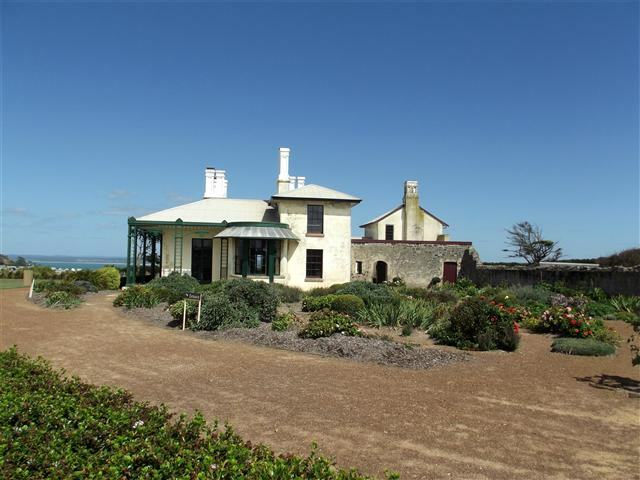 In 1982 the property was in a dilapidated state when it was purchased by the Tasmanian government. Major restoration work was carried out and today the historic property is administered by the Parks and Wildlife Service. We wandered around the grounds for a while, walked through the homestead, the chapel, the barns, the stables, and the cottages that housed the workers. It was all quite fascinating and certainly a different way of life. After we left Highfield we drove to The Nut, Stanley’s most famous attraction. This intriguing landform can be seen from as far as 20 kilometres (12 miles) away. It rises 152m (500ft) and was formed over 13 million years ago when lava shot through the Earth’s surface, cooled and solidified. Proclaimed a State reserve in 1980, there is a chairlift to the top, walking trails on and around the plateau, and, of course, the obligatory coffee/souvenir shop called, appropriately, The Nut Rock Café. And from the top there are magnificent 360° views of Stanley, the Rocky Cape National Park, and surrounding districts. The wind was blowing hard and this was one of those rare days where the chairlift wasn’t operating for just that reason. The sun had started its downward journey and the temperature was dropping rapidly and so it was time for us to return to our cabin. Our bottle of Two Tails Sparkling Wine was chilling nicely for our first night bubbly after what had been a terrific day but unfortunately it was too cold and windy to sit outside that evening. Never mind, the indoors was very inviting. But the next morning all our plans were definitely dumped by the wind. No leprechauns and no creek! It was still blowing too hard to take the chairlift to the top of the Nut and there was no way John could go fishing. But we had a whole day to fill in and so decided to explore a little of the surrounding area. We started with a drive out to Irishtown. This quaint little village is on the edge of the South Arthur Forest and in March, on the 17thto be precise, will host the St Patricks Day celebrations for the northwest but today there wasn’t a leprechaun in sight! 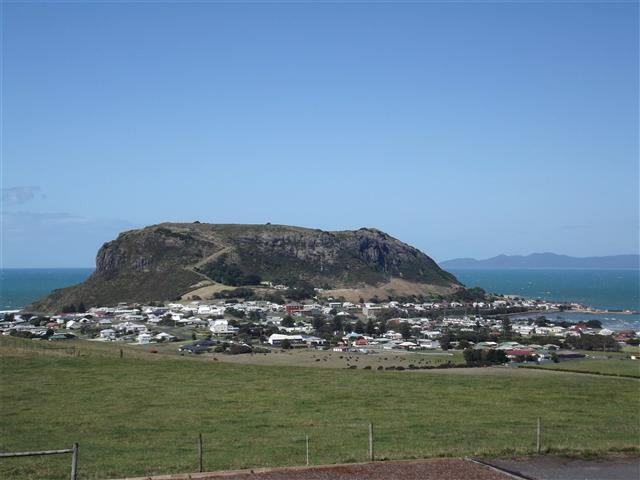 Irishtown is one of Tasmania’s northernmost towns and has a population of around 500 people. 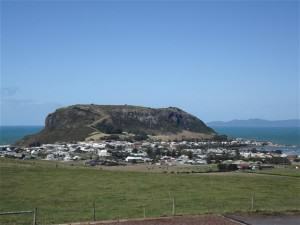 Other than being surrounded by some beautiful country there’s not a lot happening there although we’ve been told that it is a very enthusiastic sporting community with annual sporting carnivals and events dating back to 1904. Leaving Irishtown we travelled through some more truly beautiful countryside on our way to Edith Creek. It’s slightly larger than Irishtown with some lovely old houses but no creek! From here our trek became somewhat more “interesting” (take that as “lost”) and it wasn’t the fault of our navigator but our GPS. We followed the road to Trowutta with the intention of taking the circuit back through Nabageena and so on to Stanley but our GPS (hereafter known as Doris) took us into the South Arthur Forest. No problem, the road was sealed. But the Tayatea Bridge was out and good old Doris directed us onto a dirt road. A rough dirt road (shades of Oodnadatta?). After a few kilometres she told us to do a u-turn and go back the way we’d come! At this point we got out the map book and fired Doris! Making our way back to Trowutta we followed the road back to Edith Creek and took the turn-off to Nabageena there, following the road through Lileah, South Forest, and finally back into Stanley and, in spite of Doris, we enjoyed our travels. The countryside is stunning, the villages quaint, and it’s very quiet, almost sleepy. After a quick lunch we wandered down to Fisherman’s Dock to the Seaquarium. There is a huge array of sea life in Tasmanian waters and the Seaquarium provides a fantastic experience. We wandered around the displays and watched a huge eel having a bad day. It was . . . interesting. Let’s put it this way, I’m glad there was a glass wall between us! Later we explored some more around Stanley itself, chatted to a few of the locals, and learned a little about the cute Tasmanian Devil and the dreadful disease that is in danger of wiping them out. But our visit to Stanley has come to an end. I’m sorry we missed taking the chairlift to the top of the Nut. Maybe we could do it on our next visit because I’d be happy to return for a longer stay some day . . . if the wind ever dies down.